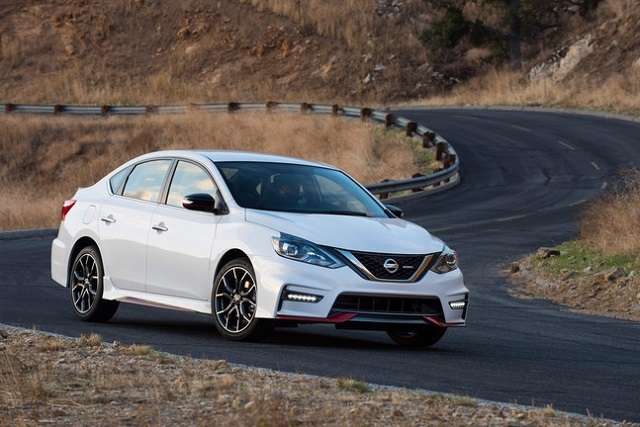 The new generation of this mid-size luxury sedan has been previewed at the Detroit Auto Show this January and it is expected to come in a year or two. Meanwhile, 2019 Infiniti Q70 will remain pretty much unchanged. This sedan is still in its first generation, despite it has been around for years. The original model came in 2011 and we have seen one major update so far. Considering the fact that the next generation is on its way, it is pretty much for sure that next year won’t bring bigger changes. This sedan will continue in the same way, featuring the same design, engines, interior etc. 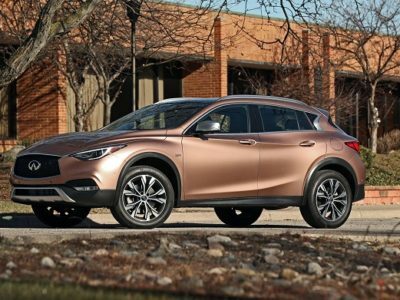 The basic trim level organization will also remain largely unchanged, although some new features for each version are certain. Also, we could see some minor tweaks in terms of one or two new exterior colors and color schemes. 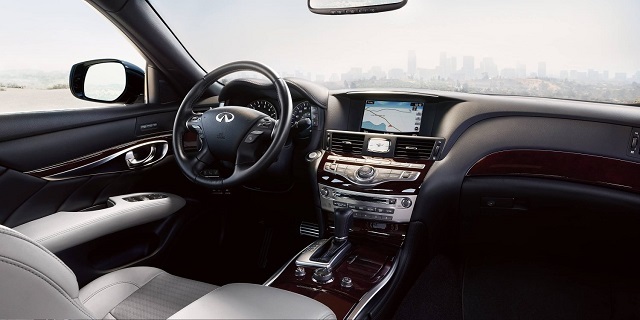 As we have already mentioned, the 2019 Infiniti Q70 will remain largely unchanged. We are about to see a familiar design that is present for more than seven years. Despite this model is pretty aged, it has been updated three years ago. For that occasion, we have seen various changes, both outside and inside. When it comes to the exterior design, the updated model received various new parts like grille, headlights, taillight and many other things. Three years later, it still follows brand’s design language pretty much entirely. Interior changes were pretty intense as well. That update has brought revisions on the dash, new materials, color schemes etc. Of course, there were some introductions of new standard features, especially in terms of safety and noise reductions. For the next year, expected changes are minimal and refer only to colors and similar things. Speaking of equipment, this sedan comes with plenty of standard features. Even base models come with things like a sunroof, dual-zone automatic climate control, and power adjustable and heated front seats. There are also things like heated steering wheel, parking sensors, a heated steering wheel, a top-down parking camera system, leather upholstery, an 8-inch touchscreen display, a navigation system, and a 10-speaker Bose premium audio system. Besides all these standard features, you can go for several optional packages. 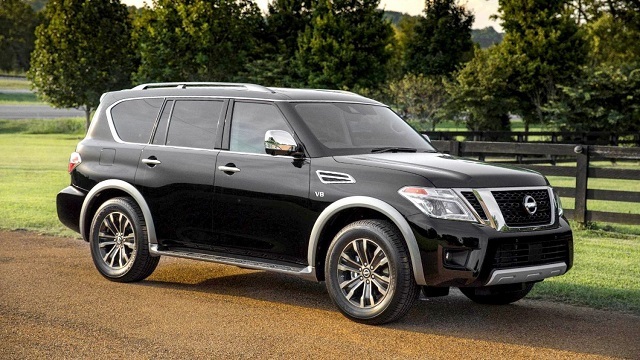 One of them is called Premium Select and includes things like dark exterior trim, a rear spoiler, 20-inch wheels, upgraded brakes, a suede-like headliner, and premium leather upholstery. Another interesting package would be ProActive. This includes various additional features like forward collision warning, front and rear collision mitigation with automatic braking, blind-spot monitoring and intervention and many other safety systems. 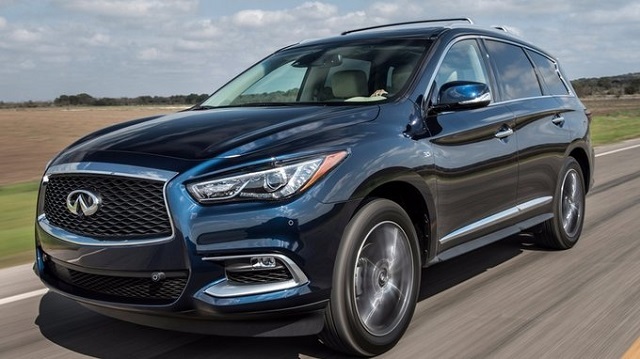 When it comes to powertrain, the 2019 Infiniti Q70 will continue in the same way for sure. There are three options in the offer. The base version comes with a familiar 3.7-liter V6 engine, which is good for about 330 horsepower and 270 pound-feet of torque. This engine comes paired with a 7-speed automatic transmission. The optional V8 engine offers much better performances. It has a displacement of 5.6 liters and delivers around 420 horsepower and 417 pound-feet of torque. Power is also delivered through a 7-speed automatic transmission. Acceleration is just amazing. This sedan needs only five seconds to reach sixty. total output of 360 horsepower. This version easily returns 30 miles per gallon. 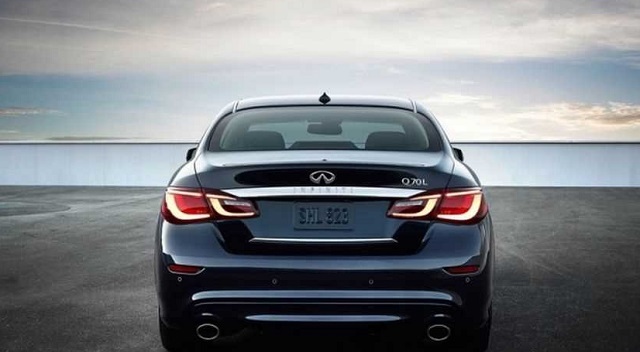 The 2019 Infiniti Q70 should come in usual time, somewhere late in the year. When it comes to price, base models should go around 51.000 dollars.